Handcrafted from 100% sterling silver, this children's name necklace for mom is a great gift for new mom. 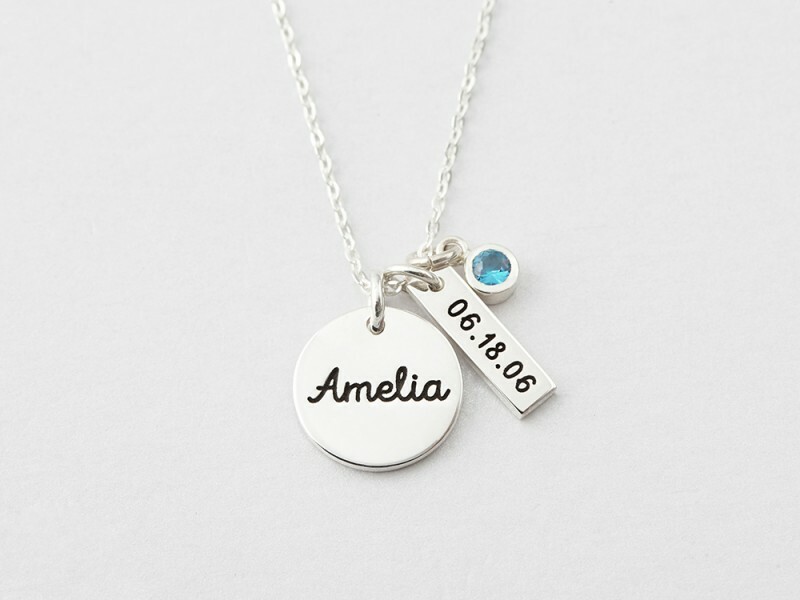 Dainty and sweet, this new mom necklace is personalized with name, birthday and a birthstone to boot. - Character limits: 8 characters. Please enter the name exactly how you want it.